CONCORD, NC - The approved meeting minutes from the August 8th WKA Board of Trustees Conference Call are now available online at the WKA website. To view the August 8th meeting minutes, CLICK HERE. 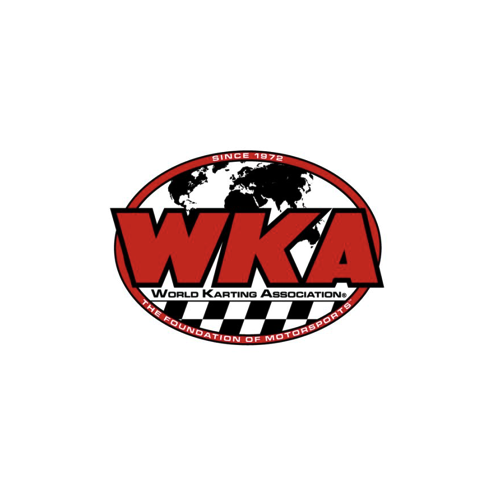 CONCORD, NC - The minutes of the first WKA Board of Trustees Conference for 2017 have been approved and are now online for review by the WKA Membership. One of the many topics discussed were the results from the most recent edition of Daytona KartWeek, involving the Dunlop/Xeramic National Road Race Series, the Bridgestone Manufacturers Cup Series, and the WKA/Maxxis Speedway Dirt event. The next Board of Trustees Meeting will be held in early March. Once approved, the minutes of that meeting will be made available to the membership online. To view the February Meeting Minutes, CLICK HERE. WKA welcomes back Robby Harper of Pell City, Alabama, the new trustee in District 2. Harper, who has served on the WKA Board in previous years, still actively competes as a driver in the Dunlop/Xeramic National Road Race Series, also serving as Race Director at the annual KartWeek event in Daytona Beach, Florida. His time served as a driver, race director, and past trustee, completely enhances his ability to serve on the Board, as well as serve the needs of competitors and members in his district. Harper has designated Rob Hindery of St Augustine, Florida as his 4 Cycle Rep, while Robby Harper III of Pell City, Alabama will serve as the 2 Cycle Rep. Both gentlemen currently are competitors on the Road Race Series as well. In District 5, Randall Lyles of Chilhowie, Virginia has retained his seat for another term. Lyles, a well-known and very well respected Tech Inspector in 4 Cycle racing, has a most extensive background in both the Dirt industry, as well as serving as part of the technical inspection team for the RLV Tuned Exhaust Products Gold Cup Series. Lyles also brings a wealth of knowledge and respect in the form of his 2 and 4 Cycle Representatives, with Lynn Haddock of Chattanooga, Tennessee returning as the 2 Cycle Rep, and Brandon Taylor of Roanoke, Virginia again serving as Lyles 4 Cycle Representative. Mike Tetreault of Warminster, Pennsylvania returns for another term as Trustee in District 8. In addition to his duties as Trustee in one of the quadrants of the northeast, Tetreault has also worked most diligently in the role as Treasurer for the organization. Tetreault has retained the services of Scott Ferris of Brick, New Jersey as his 2 Cycle Rep, while Zach Linsell, a well-respected Road Race and Gold Cup competitor from Pennsylvania will sign on as Tetreault’s 4 Cycle Rep. The new board of trustees met via phone conference Tuesday February 7, discussing the most recent agenda items, including a most successful review of Daytona Kart Week. The minutes of the February meeting will be made available, upon approval by the board. While the board is set for 2017, the rotational process of elections continues each year, with Districts 1, 4, 7, and 10 up for re-election in 2018. Here are the states that these 4 Districts represent. For those interested in becoming more involved with the organization as trustee, the first step in the process is to nominate qualified trustee candidates. You can participate by completing and returning the nomination ballot, which is mailed out to all WKA Master Members in good standing. The person nominated must be 18 years or older, and reside in the district for which they would like to represent. The 3 members receiving the most nominations from each district will be asked to submit theircandidates for 2 and 4 Cycle Representative, providing a team of qualified people for which they feel will best represent the interests of the WKA Membership. Individuals interested in the position will be placed on the official election ballot, along with their 2 and 4 Cycle representatives from their district. The ballots for valid Master Members are then sent to an independent accounting firm for membership verification. You will then have the opportunity to vote for the team in your district you believe to be the most qualified. To view the current list of trustees in the respective regions of the country, go to the WKA Main page and click contacts, giving members the opportunity to view the 2017 Board of Trustees, as well as their respective 2 and 4 Cycle Representatives. Or CLICK HERE. If you are a resident in one of these districts, and are a WKA Master Member, you now have the opportunity to participate in the selection of the trustees that govern WKA. The first step in the election process is to nominate qualified trustee candidates. Nomination Ballots will be going out in the mail to all WKA Master Members shortly. The 3 members receiving the most nominations from each district will be asked to submit their choices for a 2 and 4 Cycle Representative. An official ballot will be mailed to WKA Master Members from an independent accounting firm. Be sure and take a moment to fill out your ballot and return to the address listed on the ballot no later than November 11. Thank you to all of our WKA Master Members in advance for your part in the selection process of trustees and respective 2 and 4 Cycle representatives in these 3 fine districts.